Come bisogna seguire diligentemente lo spirito della vocazione nostra, ed operare dietro i suoi ordini, così bisogna anche guardarsi di non fare un passo innanzi a Lui. (Ms Bg 5590). 1797: Saturday - Gaspar Bertoni receives the Ostiariate and Lectorate from Bishop Avogadro. 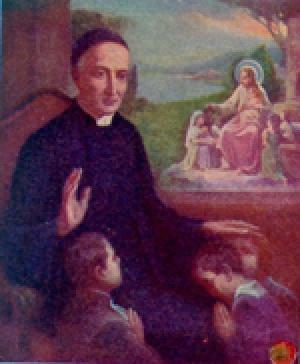 1856: Fr. Marani was ill, so Fr. Lenotti went to Cremona to preach the Retreat to the Camillians. 1867: Monday - Fr. Lenotti preached two sermons to the high school students on Retreat at the Trinità. 1868: Frs. Lenotti and Vincent Vignola preached a three day Retreat to the Students under Fr. Fusari's care - he was in charge of the Diocesan Boarding School in Trent. 1869: Frs. Marani, Benciolini and Bassi sent a letter to Pius IX and gave a description of their life at the time. They were getting along financially by means of their ministry and everything was held in common. 1906: Arch-Bishop Morando, newly consecrated, entered Ostuni ? he had been named Apostolic Administrator here.